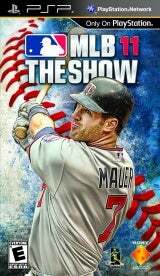 MLB 11 The Show is set again to provide fans with an unparalleled baseball experience with features and modes destined to quicken the heart, raise the stakes, and hurl you further into the true MLB baseball experience. Gameplay modes such as Rivalry, Road to The Show, Season, Home Run Derby, and All-Star Game are once again available to provide players a chance to challenge friends or play against the league in realistic baseball scenarios. No detail is spared in re-creating every detail of Major League Baseball -- realistic camera angles, detailed per-player stats, in-game commentary, Jumbotron displays, motion-captured animation, and so much more, all to take you to The Show. Last edited by jibbz; 03-09-2011 at 08:06 PM. when will the link to download be posted??? i am new to this site so what website can i find link?? Does this work on 5.50 GEND3 Prometheus 4? Yes, untouched ISO works fine. Is it just me, or does RTTS not work like MLB 10 The Show? they revamped RTTS in 2011. for the better, IMO. at least on the ps3...haven't tried this version.